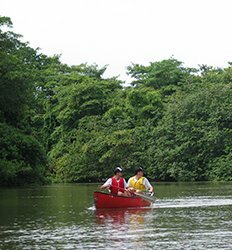 The region surrounding the Costa Rica's Arenal Volcano may not have surf, but it does offer a plethora of Arenal Watersports activities including kayaking, canoeing, Flyboard and more. There is so much more to observe from the water side of things. 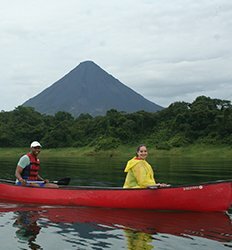 With over 200 species of mammals, over 850 species of birds and over 9,000 species of plants; the best way to experience your Arenal Watersports tour of choice is with a professional nature guide as you kayak or canoe through picturesque views of the lush rainforest, Lake Arenal, and of course the Arenal Volcano. 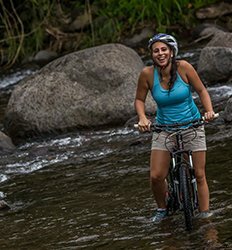 The best part about Arenal Watersports tours is that while getting your water work out, your guide will take you to the secret spots of where Costa Rica’s wildlife such as monkeys and sloths frequent the Arenal and La Fortuna area . 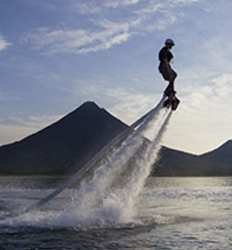 The Real Deal Tours offers many great Arenal Watersports tour options. 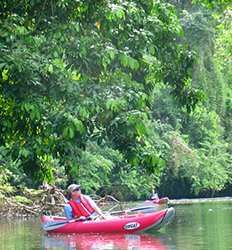 Check out our selection of discounted Arenal Watersports Tours below and get active in Costa Rica! 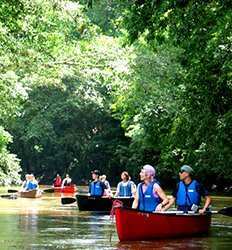 Can you think of a better way to experience nature? 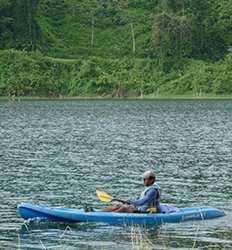 Picture this: the beautiful Arenal Volcano in the background, a pristine lake in the foreground… an idyllic and peaceful place for getting in touch with nature. 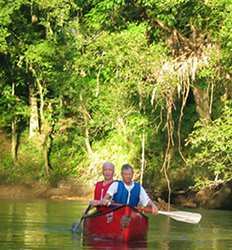 Birds singing, trees swaying in the breeze, the call of a howler monkey in the distance and..... Screeeech!! !